After almost a month of some back and forth Bo5 series in the group stages in the Ro16, the quarterfinals are finally upon us. We saw a lot of surprising upsets, including the loss of Mind, Mini, Shuttle and Shine. The map pool, which includes Roadkill and Fortress has also lead to some interesting games. The end result was 4 Protoss, 2 Terrans and 2 Zergs, a pretty decent split overall. Read the recap of the games written by Ty2 (groups A, C and D) and Ziggy (group B) below. What awaits us in the quarterfinals is quite the treat seeing as Jaedong, Last, Soulkey and others have all made it through. The first two series in the quarterfinals are set to start in and feature Best vs Rain and Snow vs Jaedong. These were previewed below by BLinD-RawR and BigFan respectively while Soulkey vs Sharp and Last vs Horang2 which will be played the following day were previewed by BLinD-RawR and Ty2 respectively. Let's get ready for action!!!!!! Last was the favorite going into a series where people could expect at the very least a close series. However, viewers got anything but that. Like a broken record, Last's subpar live performance streak had another fine addition - a grim 0-3 vs. Mini to start his KSL run. Game 1 on Polaris was decided by a decisive backstab by Mini's combined Carrier and ground army, abusing the disarray of Last's hastily retreated forces for a decisive victory. The second game on Blue Storm had half the game take place on the high ground just above Mini's mineral only third. In a scrappy tug-of-war, Last relentlessly bombarded Mini's third while Mini endured, pushing back with Carriers winning ground back inch by inch before mounting a deadly counterattack. On Fighting Spirit, Mini mixed in his signature reaver harass to pull apart Last's early 3 base strategy with dissecting Dragoon forces. Mini leisurely closed the game out, sitting on 7k in the bank while Last fumbled helpessly with the infamous ramp vortex glitch. This series heavily leaned towards Rain's favor, putting the ball in Movie's court to overcome the odds. While Movie couldn't defy expectations, he showed he had the skill to match Rain as a serious contender. Game 1 was met by incredibly even engagements at all points in the game, but Rain slowly pulled ahead with his earlier 3rd to outdo Movie. The second game appeared promising for Movie's faster expansion, but all was naught in the face of Rain's reavers. In a matter of seconds, a decisive scarab hit destroyed most of Movie's probes sounding the gong of defeat for Movie. The third and final game was marked by nonstop storm drops by both sides. In the end though, Rain was the one who cast the perfect storm which snowballed him to a 3-0. Rain vs. Mini, the other PvP matchup that could've been in ASL 5 was borne witness to in the KSL. While Mini's skill is nothing to dismiss, his inconsistency of performing under pressure overshadowed his efforts. In game 1 on Roadkill, Mini's 1 base reaver push took the reins against Rain's defensive fast expansion for an encouraging victory. Mini's initiative that looked commanding and ingenious in game 1 only fell flat in game 2 on Fighting Spirit. After defending Rain's dragoon aggression, Mini's disastrous reaver drop that did no damage escalated into an eventual loss. Momentum moving in Rain's favor, a powerful 3-gate in game 3 on Polaris caught Mini unawares for a deflating loss. Game 4 on Circuit Breaker illustrated Mini's reaver micro, hitting several stacks of probes before Rain fell to a reaver push. Finally, in the incredibly tense game 5, Rain went for a risky DT opening which was more than prepared for by Mini's observer opening. Rain launched a game ending attack, saved only by Mini's forgetfulness, leaving 3 dragoons wandering the map. In a series that could've been anyone's, Rain wins 3-2. The mechanically sound but lackluster live performer Last, and the solildly average Movie brought about a series that couldn't be more evenly matched. 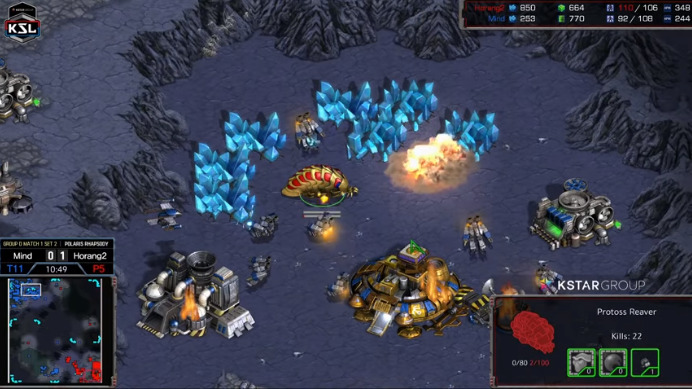 In a dizzying game 1, Movie repeatedly fumbled his advantage on Fortress by losing several Carriers to cloaked wraiths and failed to deny Last's bases. Picking off Movie's bases left and right, Movie tapped out left with only a fledgling Carrier fleet. Game 2 on Circuit Breaker was a straightforward cross positions counterattack after Movie's failed aggression. Game 3 on Fighting Spirit had Last doing a 2 base all-in that was dismantled by Movie's last second stasises and dominating army control. In the nailbiting series deciding game on Roadkill, Last opened 1 Rax FE versus Movie's reactionary proxy reaver. Holding the reaver assault without difficulty, Movie slowly came to grips with defeat to conclude a tense 2-3 series. The anticipated rematch between the two gave Last a stage to redeem himself from the unfortunate 0-3 earlier. The fesitivies started on Blue Storm where once again Mini's Carriers proved infallible by Last's repeated pushes. In the second game on Fortress, Last swiftly won the game using a quick siege push. Game 3 on Roadkill put the vulture in the spotlight, killing several probes to give Last the lead. A paltry carrier and shuttle counter attack by Mini did little to sway the Terran push marauding to victory. The featured game 4 was a tremendous hurdle for the visibly shaken Mini. Emotionally prone, Mini has an increasingly difficult time the less a series goes his way. Already down 1-2, what confidence, or even complacency gained from his 3-0 was a faded memory. And for Last, in the cutthroat world of competition, he had adapted as Mini was left in the dust. The game starts with Mini spawned in the top right and Last in the top left. Mini takes the initiative by cancelling his dragoon range to start a robotics facility for reavers once Last's scouting SCV has left. The unaware Last uses the first SCV to distract the first dragoon while he takes his expansion before his first tank. The move depended on Mini to use his dragoon to deny scouting rather than attack, a move that pays off for Last. The SCV still surviving swings around to scout the suspicious lack of an expansion, prompting Last to build an engineering bay. Mini's next move, likely counting on a fast bunker expand from Last counts on a precise timing attack before siege is done. Last meanwhile in his foresight sends out yet another scouting SCV, this time directly encountering dragoons which alarmingly have no dragoon range - a telltale sign of fast tech. Last almost certain that Mini is 1-basing, and likely to showcase his reaver micro, makes a conservative 3 turrets relying on his tanks to defend. Last who has played Mini countless games expects the shuttle to harass his main, fearfully placing all of his tanks in the main. However, Mini mind-games Last, doing a simple frontal assault as Last is forced to lift off his natural. Mini then absent mindedly loses his reaver, allowing Last to re-establish his natural while Mini's natural gets saturated at the same time. Last aiming to capitalize on the blunder rushes to counterattack with 5 tanks. A methodical leap frog stops any reaver micro highlights from occurring. Mini, forced against a wall in a stroke of brilliance declines to merely defend, utilizing his reavers to their full tactical potential with a counter drop. Unfortunately, in Last's tunnel visioned haste to punish Mini's fast expansion, he's left no defences at home. Mini despite losing his natural continues to threaten Last's main base, moving his dragoons for a powerful backstab. Last, cutting his losses lifts the siege on Mini's natural to relieve his main base. To make matters worse, Mini has a second speed shuttle to continue the airborne attack. 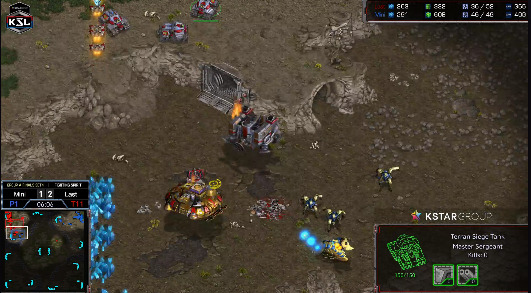 With endless SCV transfers and deaths, Last's base becomes Mini's personal reaver micro training ground. Nearly dead, but still alive, Last's trump card, his dropship from the proxy Starport at the 6 O'Clock loads up 3 vultures. For Mini a proxy starport is nearly unthinkable, and Mini falling for the same trap Last fell for moments ago tunnel visions in an attempt to cripple Last. Last more than prepared, the siege tanks, mines, turrets, and the ramp prove insurmountable for Mini. Meanwhile, Last's vultures merrily kill several probes before Mini notices the cause of his dwindling supply. In comical misfortune, Mini spawns only slow zealots and is forced to retreat his dragoons all the way across the map. The game essentially reset, Mini in his franticness of losing the lead attempts to delay Last's 3rd after a haphazard double shuttle drop in Last's main. Last continues to tax Mini mentally by going on the aggressive, a push just barely held. Not finished, yet, Last in the immediate aftermath sends his vulture packs on the prowl, abusing the low dragoon count to pick off multitudes of probes. And again, he drops tanks with vultures to pound on Mini's disconnected bottom right expansion. Taking advantageous trades left and right, Last takes a vital fourth uncontested. Last's incredible tempo and aggression causes the increasingly desperate Mini to make a move himself, blindly charging into Last's third. In the process he finds himself in a minefield and carelessly loses both of his shuttles. The end drawing just over the horizon, Last's economy is at full throttle. As one mech army falls, another is ready to replace it. Not giving Mini an edge to expand, Mini realizes the futility of his position to finally concede. Last's play this series was a display of quick wit, nerves of steel, decision making, and especially great vulture harass timings and pushes for Mini's reaver and carrier builds. Taking a proactive approach for once, Last had done a complete makeover of the 0-3 disaster. As the day kicked off with a PvZ on Roadkill, the general consensus was that Snow would make it out of the group without a hitch. The runner-up of ASL5, however, had his wings clipped in game 1, as a muta + scourge dive from Shine made quick work of Snow's Corsairs early on in the match, thus allowing the Zerg to follow up with a 3-base Hydra push to close out the map. Adapting his play on Gladiator, Shine opened up with 9 pool speed, though ultimately failing to punish Snow's 1 gate opener. Acknowledging the Protoss player's advantage, Shine once again resorted to a quick 3-base Hydra bust. As the push bounced off Snow's defense, the Zerg tapped out. Staying true to his nature Shine repeated the same opener on Fortress, this time being deflected by Snow's FFE and a fortunate scout. Opting to shut down the Protoss player with yet another aggressive follow-up, Shine committed to a 2-base Hydra drop into the main. Juggling the units in and out of the Overlords for a good 5 minutes, Shine ultimately failed to break through Snow's defence, putting his opponent on match point. Moving onto Circuit Breaker, Shine took his foot off the throttle, switching things up and opening with an Overpool. An FFE from Snow slowed the pace down, allowing Shine to macro up on three bases, likely looking to replicate the result from the first game. The Mutalisks found little damage, though, and the heavy commitment to Spire units ended up spelling Shine's doom. Snow closed out the series by means of a counterpush with a Dragoon-and-Corsair-heavy army and a hefty number of High Templar, which made quick work of Shine's inferior force. Deal with all the AoE, son. TvT, just like any other mirror matchup, often revolves around taking risks to eke out any little advantage possible. Sharp's 8 Rax, although seemingly a strong counter to the forward 12 rax of Sea, failed to deal any direct damage. As Sea was forced to pull workers off the mineral line to deal with the aggression, Sharp fell back to his natural and proceeded to macro up on 2 Factories. Likewise, Sea's plan was to stabilize on 2 Factories. Sharp's commitment to Vultures and a map-control oriented approach to Roadkill put him behind, as Sea quickly realized the right way to punish his opponent. 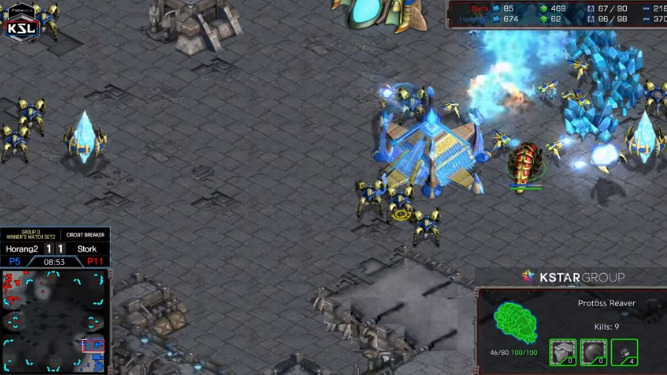 Setting up a contain outside Sharp's base, Sea's macro engine kicked in and secured the ASL2 runner-up a 1-0 lead. More conservative openings on Fighting Spirit seemed to be the name of the game, as both players opted for a 1 Fact expo. However, Sea's command centre ended up being started slightly behind Sharp's, as the former's resource optimization indicated he might be following up with a quick Starport. Although Sharp's CC started being built earlier, a Vulture runby disrupted the construction with Sharp failing to realise the expansion hadn't been completed on time. Sea's plan indeed involved Wraith play, as 2 starports were constructed in the centre of the map for that very purpose. Sharp caught wind off the shenanigan, put down additional Factories, and ran Sea over before the latter managed to amass sufficient Wraiths. Game three took us to cross-spawn Circuit Breaker. Sea's 1 rax CC secured him an early economic advantage, however the Vulture drop that followed failed to inflict any damage onto Sharp, whose extra Factories allowed him to secure a foothold in the centre of the map, cutting off Sea's third gas. Sea kept taking poor engagements, falling behind with an army, whose large chunk of supply was invested in Valkyries meant to counter Sharp's wraiths. Failing to break out of the contain, Sea gave up another point. As the players moved on to Gladiator, it became evident a Vulture-heavy playstyle was the preferred approach to TvT for Sharp. Sea decided to counter with a quick 5th Factory before a 3rd CC, whereas his opponent opted to outposition Sea with quick dropships. Dropping units on an unprotected third pulled a hefty chunk of Sea's army out of position, leaving the main vulnerable. Sharp followed up with two consecutive drops in the main base of Sea, dealing critical damage and closing out the series. Despite having his Reaver drop countered and the 2 base Carrier follow-up scouted, Snow never lost his composure. Playing from behind against an omniscient Terran proved a walk in the park for the PvT specialist, whose ability to assess any engagement's outcome allowed him to claw his way back into the game. Breaking Sharp's spirit on Gladiator, the two moved on to Circuit Breaker with Snow in the lead. 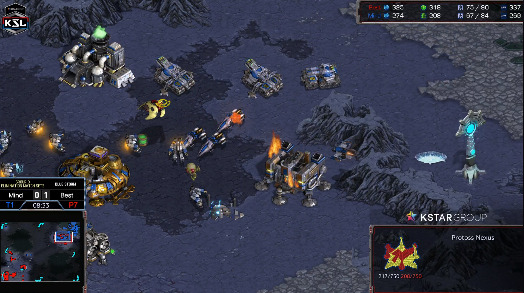 The ASL5 runner-up took a massive risk by opening with a Nexus first, which got immediately scouted by the Terran. 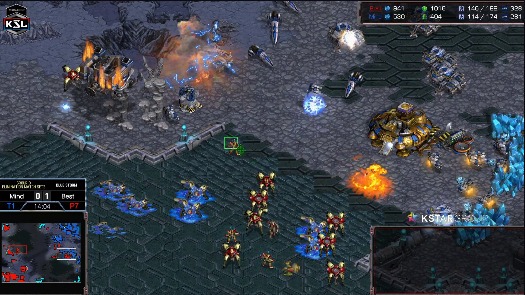 Pulling the trigger, Sharp rushed towards the Protoss base with a handful of Marines and SCVs, sending in Vultures to try and break through into the main of his opponent. Successfully completing a bunker on the low ground left the Nexus vulnerable. Snow, having lost his natural expansion, broke out to combat the contain, lest tanks arrive. Transitioning into Reaver play, Snow regained map control, whilst going up to three bases. Snow's economy quickly got out hand, as the Protoss had control of over 5 mineral lines in under 15 minutes. Securing an economic advantage, Snow held out until the Carrier transition and once again finished off the Terran by taking favourable trades all game long. On Polaris Rhapsody things quickly fell apart when Sharp botched his micro, allowing a Zealot to sneak past the Bunker on the natural. Snow jumped on the opportunity, sending in Dragoons to continually run into the main base, wreaking havoc and generally ruining Sharp's day. Snow advanced out of group B in first place, only dropping a single map. Game 1 on Roadkill ended in quick fashion, as Shine did what Shine does best. 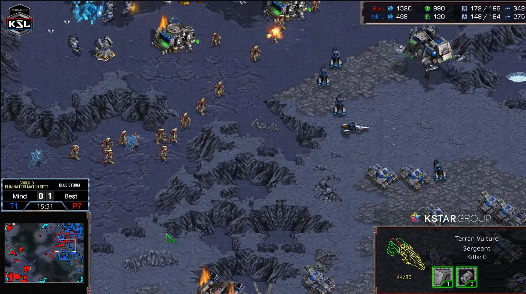 Noticing Sea had skimped on building a Bunker in the natural, the GSL Observer decimated the Marine count, allowing his mutalisks to reign supreme in the mid-game. Circuit Breaker saw Sea take on an aggressive stance, placing a forward 8 rax in hopes of crippling the Zerg's economy, but, alas, the Zerg had spawned diagonally across the map. With the game stabilizing and both players slowly transitioning into their late game compositions, Sea's computer crashed and the game had to be restarted. Though the players spawned in different spots this time around, the game progressed as it had before the rehost. Sea's SK Terran heavily contested the Zerg, who kept losing mutalisks due to poor map awareness. Losing all his anti-air, Shine was caught off guard and died to a squadron of battlecruisers, to which he had no answer whatsoever. Falling back to his signature aggression on Fighting Spirit, Shine opened up with a 9 pool. Sea, despite letting a couple of Lings into his main, kept his composure and recovered. Deflecting all aggression from Shine, including a bunch of Lurker drops into the main, Sea mustered up a formidable mech force and pushed down the Zerg to put himself on match point. Spawning in the Terran-favoured bottom left position on Blue Storm put Sea in a comfortable spot, not having to worry about any early aggression coming his way. Recognizing the position he was in, Sea decided to move out with the first few Marines in hopes of pushing down a potential Hatchery opener. Shine, however, had opened with a pool + gas, which allowed him to easily deflect the rush. Shine's predictable Spire opener was once again countered by Sea's 4 rax, who, having transitioned into SK Terran, outplayed Shine to close out the series and get another shot at moving on to the Round of 8. The rematch started with cross-spawns on Gladiator, where Sea, bearing in mind Sharp's go-to TvT opener, decided to fight fire with fire, heavily investing in Vulture-based map control. Although taking a quick third could have been risky, Sea properly assumed a defensive stance, allowing him to run away in terms of economy. Aware of the threat of drops, Sea prudently positioned his forces to prevent the same scenario from the previous series repeating. After 25 minutes of poking and prodding Sea gained control over the game with a massive Wraith fleet. Sharp, assessing the situation, tapped out. The following game progressed in similar fashion with both players establishing tank lines in the centre of the map. Sea's greed allowed him to run away with the game, having nearly a 50 supply lead at the 20th minute mark. However, a momentary lapse in judgment caused Sea to give up a crucial position, allowing Sharp to drive a wedge in between Sea's third and his fourth. Sea retaliated with a push towards his opponent's main, though with the supplies evened out, Sharp managed to take Sea's pushing force into a vice to get a foothold in the series. As the players moved on to Circuit Breaker, Sea's indecisiveness when pushing cost him a large chunk of eco, as Sharp, dragging mines onto a reinforcing tank, snuck a squad of Vultures past the pushing army, playing havoc in the enemy natural. Sea proceeded to contain Sharp on two bases, however the latter managed to outposition Sea with quick dropships, breaking the siege line outside his natural with relative ease. Sea, reinforcing with a tank + Vulture heavy army, failed to correctly assess the threat posed by Dropships and lost a large chunk of his force, gaining very little in return. The game progressed into the later stages with Sharp having an extra hidden base go undetected, right under Sea's nose. Failing to acknowledge his adversary's macro capabilities, Sea transitioned into Wraiths far too quickly, getting pushed down by the ground army in return. Sharp once again put himself on match point. Shaking this up on Fortress, Sea opted for a 1:1:1 to try and deal with Sharp's 1 Fact expansion. Running two Vultures into the main of his opponent, Sea took down a few SCVs and managed to disrupt the construction of the Armoury. Sharp's response was a quick push to delay Sea's natural, as the latter did not even attempt to harass with the initial Wraith. No, he was far too preoccupied with taking down a landed Barracks. Deflecting Sharp's push without taking critical damage, Sea added a few Factories and switched to dropship production. Utilizing the massive swathes of barren land next to the main mineral line, Sea dropped a large chunk of his army behind enemy lines. Sharp, however, anticipating that eventuality, had his own dropships ready. Pulling SCVs and clearing out the remainder of Sea's army, Sharp sent a counter drop towards the ASL runner-up's main. Left without an answer, Sea tapped out, with Sharp moving on to the Round of 8. The spotlight in the classic ZvP matchup undoubtedly shined on Soulkey. While Shuttle relied on strong armed macro plays, Soulkey whimsically ran circles around him to outdo his all too straight forward style. In game 1 on Gladiator, Shuttle using the momentum of his 1 gate pummeled Soulkey into submission with relentless zealot, high templar, and zealot attacks. 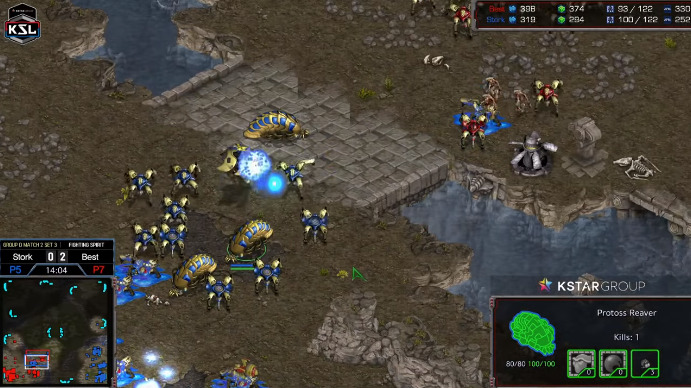 In game 2 on Fighting Spirit, Shuttle's storm drops and frequent attacks were unable to kill Soulkey outright. Forced to expand to a late third, Shuttle slowly starved out from Soulkey's impregnable lurker contain. Game 3 on Roadkill featured a 3 hatch hydra drop strategy. Utilizing several fake drops and frontal busts with hydras, Soulkey dismantled Shuttle's reaver defenses. Game 4's back and forth on Blue Storm saw two reaver pushes, both just barely stopped by Soulkey. A horribly late third slowly left Shuttle dwindling in economy. Jaedong, the grizzled veteran went against a Light who had inexplicably risen to the top in recent weeks. While Jaedong employed all of his knowledge and preparation to outdo Light, his play was too unpolished to face Light's impeccable form. Game 1 on Fighting Spirit saw Jaedong make several midgame blunders, but he gained ample footing in the lategame. BCs, drops, ultralisk counterattacks, and a semi-base race ultimately left Jaedong slowly whittled down by Light's more cost efficient army. The third game despite a promising midgame game for Jaedong was abruptly ended by a four dropship attack by Light. 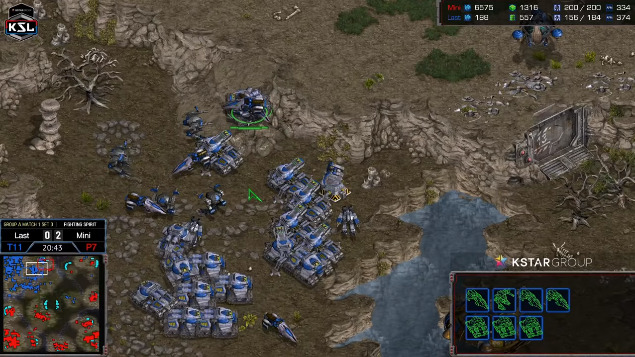 Light in game 3 attempted a proxy rax bunker rush into factory, but was easily defeated by Jaedong's 12 pool opening. 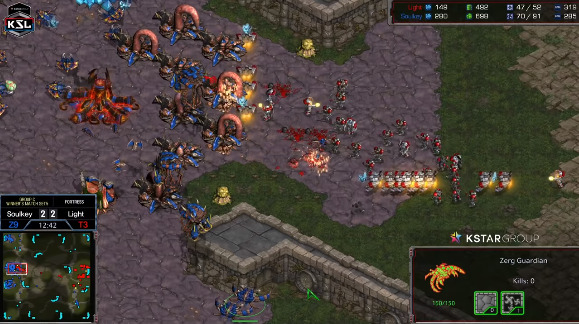 Game 4 on Gladiator had Jaedong sunk busted after losing all of his mutas and zerglings in a failed attack on Light's main bio force. The two best players of their respective races of the ZvT matchup made for an enthralling spectacle. Game 1 on Roadkill was ended by Soulkey's greed, making only 3 sunken colonies but no accompanying zerglings to defend Light's 2 rax after expand. Game 2 on Circuit Breaker had Soulkey employ several mutaling backstab tactics before doing a lurker push that ended the game swiftly. Game 3 on Gladiator showcased 2 control group mutalisk backstabs that damaged Light's economy. However, mutalisks dying off and a third that fell to a 2 dropship attack left Soulkey unable to comeback. Game 4 on Polaris Rhapsody illustrated a muta into ultra strategy from Soulkey. Light's bio attacks to stop Soulkey's third for one reason or another was effortlessly defeated before the disadvantage snowballed into a loss. The match deciding game on Fortress was a long and grinding loss for Light as he lost all of his marines to 8 speedlings. Light could do little but watch as soulkey's 2 hatch mutas into guardians wreaked havoc. The creative Jaedong tapped into his hyper aggression to cut Shuttle down in a one-sided rush frenzy. Game 1 on Roadkill started with a tremendous lead for Jaedong as he killed several probes w/ runby lings. 7 mutas and 2 scourge later, Shuttle's main base soon became a zerg aviary. 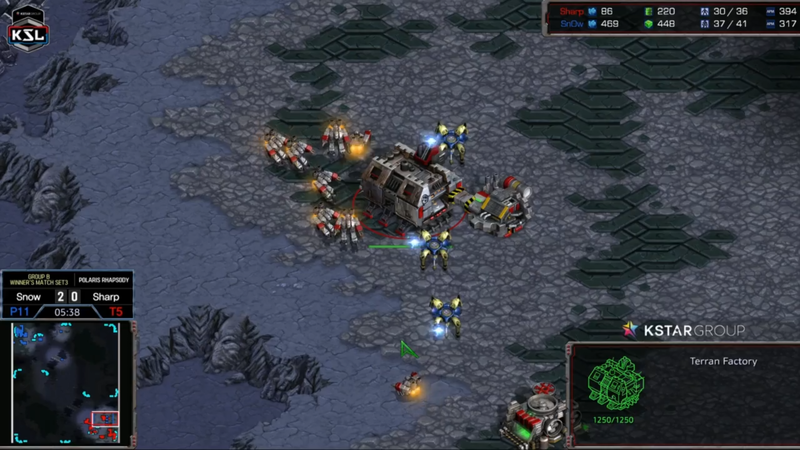 On Fighting Spirit, Jaedong's 3 hatch mass hydra strategy outsmarted Shuttle's mass cannon strategy. Game 3 on Gladiator saw yet another ling runby from Jaedong with two lings sruviving into a 3 base spire 5 hatch hydra. Shuttle on the move out was crushed by a hydra muta surround after being on the defensive for almost the entire game. An unfortunately fast exit for Shuttle certainly leaves protoss fans longing for more. A rematch for the ages, Jaedong gave a greater showing than imagined as both went toe to toe in this electric series. Jaedong certainly had his work cut out for him against Light with a dominant 77.4% winrate in TvZ in sponsored matches this month. Jaedong with his signature aggression closed game 1 out quickly on Roadkill doing 2 hatch mutas with a 12+ ling bunker bust. Game 2 on Blue Storm saw Light bite back with a proxy factory into 2 starport. Endlessly microing a vulture in JD's main, Light dealt unrecoverable damage. Game 3 on Fighting Spirit saw Jaedong's lose several mutas from overextending before getting sunk busted. The next game on Circuit Breaker showcased the opposite, with dominating mutaling attacks. After defending Light's drop aggression, Jaedong's ultraling ounterattacks won the game. In the match deciding game, nerves were at an all time high as Jaedong was arguably pressed against Light's superior mechanics. Jaedong only had one victory out of three games where he opted for a standard 3 base hive. Coupled with Gladiator's close quarters, dropship haven, and reverse ramp, matters could only get worse. But when the moment mattered most, for the first time in a while Jaedong showed flashes of his past as The Tyrant. 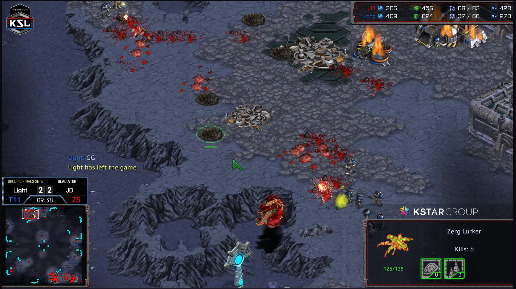 The game begins with Light spawning in the top left and Jaedong in the bottom right. The cross positions travel distance while giving Jaedong an easier time versus aggression makes it slightly harder to expand to a third. At the same time, muta harass against Light's mineral line will be even more difficult. Light had delayed his turrets, relying on the longer travel distance and the potential backstab of a +1 5-rax to deter Jaedong. While Jaedong carefully accounted for the position of the main bio force with his lings, Jaedong saw an opportunity to attack with little risk of getting backstabbed. Meanwhile, Light was under the assumption Jaedong would be focused on establishing his third and trying to whittle down the marine medic ball like the other two standard games. Jaedong's unexpected move at once abused Light's complacency and took advantage of the small timing window that +1 5-rax offers for muta harass. A player to do muta harass versus +1 5-rax is a risky move that lesser Zergs wouldn't have the boldness to do, and was virtually unseen during the Kespa days. Typical of Jaedong's A-game, he makes the proactive plays of daring and attacks at the slightest opportunity. Riding off of the momentum of his micro plays, Jaedong was going full steam ahead. During the chaos Jaedong had instead of going for a hive, had gone for an evolution chamber. Undoubtedly, Jaedong was taking a page out of Soulkey's book. He was replicating the same precise +1 carapace timing attack and backstab tactics Soulkey had successfully employed versus Light in an earlier series. Of course, the complacent Light didn't bother scanning Jaedong's main for a sign of a hive. Meanwhile, Light, still focused on the longer game continually denied Jaedong's third, not knowing Jaedong's true intentions. Jaedong once again harassed light's still turretless main, luring his bio force at the natural to the back. 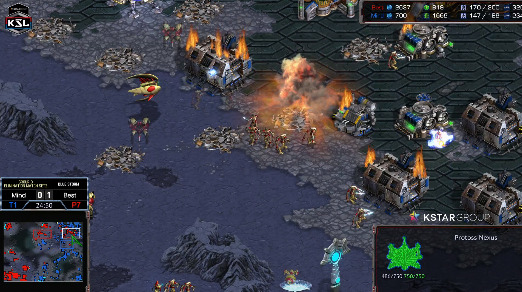 Shortly after, Jaedong regrouped with his zerglings, his frontal mutaling attack killing off the few rallied marines. 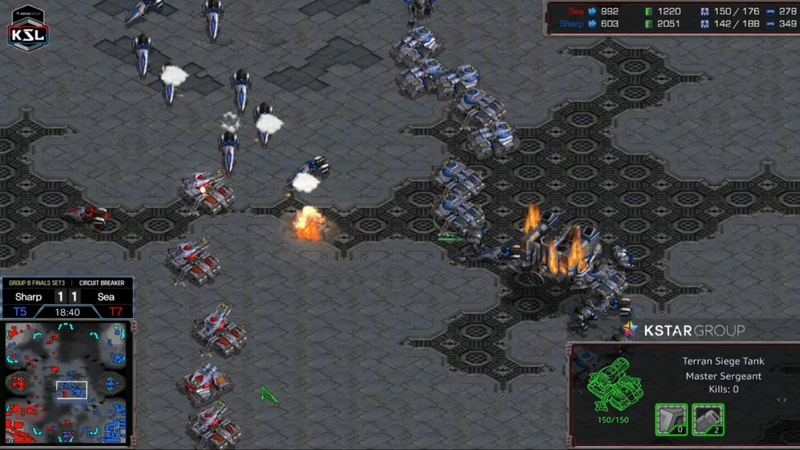 Now controlling the top of the ramp, Jaedong's now complete four lurkers scurried their way into position. All in one fell swoop, Jaedong baited Light's bio with the third base and muta harass in the main, to completely expose his natural for the perfect setup. Even though the lurker attack hit before the +1 carapace finished, the move worked well enough anyhow. Natural left in ruins and no end in sight for Light, the Terran taps out. Sadly, Light at possibly the height of his career at #2 in ELO below Flash could not avoid the tale as old as time of not advancing to the ro8. Meanwhile Jaedong fist pumped in victory to the applause of his fans. Jaedong while not the behemoth he was before displayed he still has the tenacity and skill to win games against the top competition. His multitasking, unit control, mind games, and seamless tactical maneuvers were all portrayed in his best performance yet to completely outdo Light. The Tyrant has returned. Jaedong and Soulkey advance to the Ro8! Mind vs. Horang2 is a welcome appearance from Mind who has faded from the spotlight recently. Horang2, while an ex-pro, has produced less than impressive results in matchups other than PvP, but viewers were in for a surprise. Game 1 on Roadkill was a long, drawn out game where both players pushed each other's bases. Armies were destroyed, remade, and then destroyed once again before reaching a standstill at several points in the game. In Mind's efforts to stamp out Horang2's ever expanding web of bases, Mind was eventually outresourced, starved on his meager 4 bases by Horang2. In a turn of the unorthodox, game 2 saw dropship play and reaver play, exchanging blows and worker kills. Mind's strong 2 base push, followed by a 3 base push kept Horang2 constantly pressured for an eventual win. Game 3 on Fighting Spirit was won quickly by Mind's timing attack, abusing Horang2's reaver transition after expanding. On Circuit Breaker for game 4, Horang2 pulled out the dreaded cross position carrier strategy. After a few back and forth battles, Horang2's carriers systematically whittled down Mind's goliath count to win the game. Game 5 was won by a DT rush after an innocent looking 1 gate expand, much to the turretless Mind's chagrin. A battle between to decent protosses saw the refinement, but inconsistency of Best in the same series, and Stork's ingenousness. Game 1 on Blue Storm had Best's DTs scouted, but successful battle after battle allowed Best to comeback in the game. In game 2 on Polaris Rhapsody, after some hectic early dragoon battles, Best's surprise DTs prompted Stork to gg before a single DT killed a probe. Game 3 on Fighting Spirit had Stork on the aggressive, outmanuevering Best to deny his fast expand. The game took a turn for the worse when Best lost the game vs. Stork's 4 reaver push. Game 4 on Gladiator was won by a simple 3 gate all-in by Stork, defeating Best's robotics facility variant. In the final game on Circuit Breaker, Best's DTs were amply handled by Stork, followed by shutting down Best's hidden expansion. After taking a decisive army engagement, Stork moved onward to victory. Stork had his work cut out for him against PvP specialist, the tigertoss Horang2. Game 1 on Roadkill was as cookie cutter as they get, Horang2 mind gaming Stork using a DT rush against a 3-gate with no detection. Horang2 on Polaris in game 2 did a soft contain at the bottom of Stork's ramp. 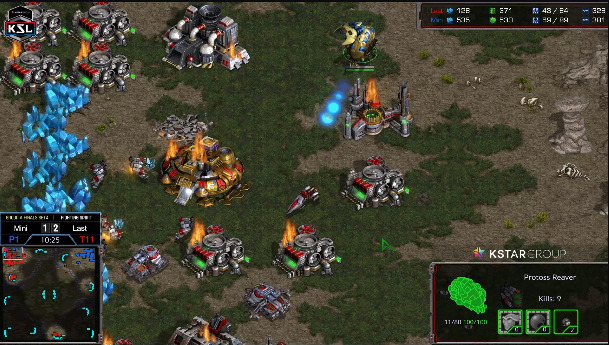 Upon breaking out, Stork's reaver push toppled Horang2's dragoon only defences. Game 3 on Circuit Breaker featured some breathtaking money shots on worker lines from both players. However, Horang2 got the better end of the stick, doing one final push to close the game out. 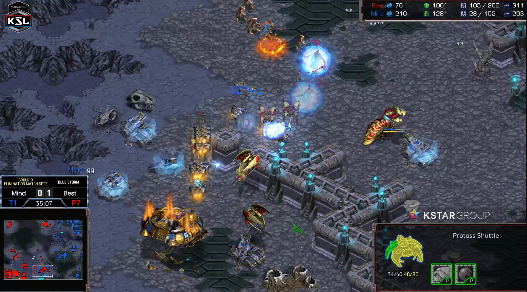 Stork growing desperate, in game 4 on Gladiator, Stork attempted a 3-gate dragoon attack to outmuscle Horang2's reaver variant. However, the high ground advantage proved insurmountable for Stork. Incredibly behind, Stork waged another uphill battle while 30 supply behind, predictably failing horribly. Mind losing to Horang2 was probably an omen for the worst. Now against PvT wizard Best, Mind's chances of getting out of the group looked grim. The series started on Polaris Rhapsody, and in classic D-rank fashion, Best gas stole into zealot harass, abusing Mind's fast CC expand. With the appearance of the first dragoon, the gg followed shortly after. After losing the first game, the second set is often considered the most important and critical to avoid a clean sweep. Here Mind made an admirable stand against Best, who unlike other protosses carved his own path of pure macro monstrosity. Best spawns in the bottom left while Mind spawns in the top right. The state of the game looks bad as Mind does a strangely conservative Fake Double build. The 6 marines a heavy investment are put to little use besides safely establishing a natural. Even then, Best with just two dragoons, a zealot, and the power of the high ground destroys a siege tank, 6 marines, and a vulture, all off of 1 gate. Mind attempts to recoup his losses doing more cute tactics such as a one tank siege over the cliff to kill probes, and vulture harass that does decent damage. Best's reaver transition is more than prepared for by Mind's defensive starport, making two wraiths. The solid defense and minor harass puts Mind in a relatively equal position with Best. However, his efforts are undermined by a dropship that doesn't even go past his half of the map before falling to dragoons. Best pokes and prods with his reavers where he can as Mind expands to his 3rd. In a show of macro dominance, a nearly maxed Best attacks the entrenched defence of Mind, attempting to whittle down the siege tank numbers efficiently. Best attacks once more, but this time in the form of a conga line of zealots past the small choke of Mind's. Both attacks are dealt with before Mind decides to move out to establish his fourth. Best in the meantime takes the 6 and 12 O'Clock bases. Best, known for carriers with a short lifespan stubbornly stays on pure gateway units. Best eventually relents, getting an arbiter 18 minutes into the game. Yet another conga line, and then another line of zealots is recklessly walked into mines as one questions if Best's desire to throw units away knows no bounds. Best's attacks may be an attempt to delay Mind from pushing and stretching him thin, or maybe just a creative move with more flair than sense. Mind eventually forces a split map, finally taking the 6 o'clock. After maxing out, he begins to push. Finally, Best makes an attack that involves more than just losing units. Waiting until Mind's army had crept all the way to the 6 O'Clock for maximum retreat distance, Best recalls at Mind's main base. Best then shortly follows up with a failed recall at Mind's 6 O'Clock. Almost an unexpected effect of staying on gateway units disastrously long, the recall may have been all the more unexpected by Mind. Best's bizzare and haphazard tactics while sloppy have worked well enough to destablize Mind. Moving for a final push, a succession of stasises shuts down Mind's 6 O'Clock. Running deep into the tank line, Best's army units however peter out as Mind's reinforcements fend the attack off by a hairsbreadth. Best is down to 80 supply and forced to make archons with his surplus gas while Mind is barely breaking 50. Then, Best in an unprecedented move puts a reaver and archon in his shuttle to stop mining at the 6 O'Clock completely. Shortly after, a push in makes little work of what's left of Mind's meager army in a game more ridiculous than brilliant. After an exhausting game 2 came a third. Mind's chances of redemption evaported in game 3 on Roadkill, defeated by Best's reaver drop and dragoon attack at his natural. Stork and Best meet once again, both players eager to make the last cut to the ro8. 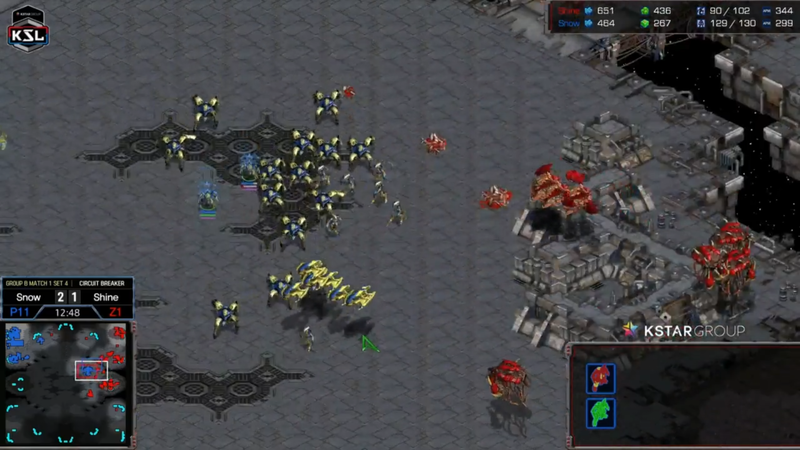 In game 1 on Blue Storm, Stork's midgame advantage led to a better unit composition with several more archons. The major engagement and the moments after left Best with a 60 supply deficit. Best in game 2 on Gladiator brushed off Stork's reaver push, shut down his expansion and, effortlessly defended Stork's last ditch counterattack. On Fortress in game 3, Best picks off Storks shuttle with reavers inside before closing in on Stork's natural. 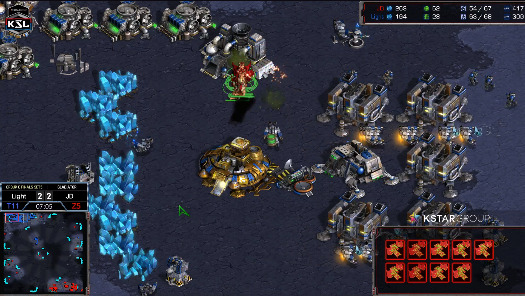 In game 4 on Circuit Breaker, Stork in another attempt to push is styled on by a complete surround by Best complete with a shield battery for the reaver. Horang2 and Best advance to the Ro8! 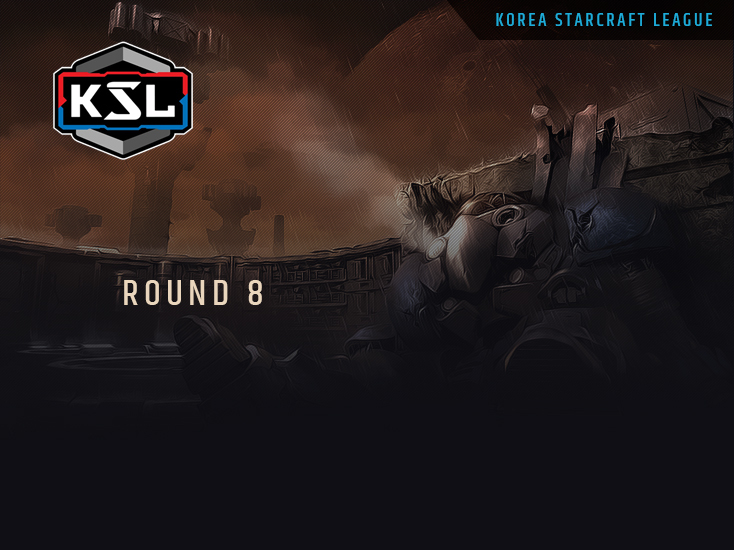 Starting out the Ro8 is a PvP series between ASL5 champion and current favourite to win the KSL, Rain who is going up against the most solid and consistent Protoss, the Macro Beast BeSt (Doh-men). Going by the numbers, the head to head between BeSt and Rain since July has been (8:6) in favor of BeSt. Being former SKT T1 A-teamers, they already know each others' playstyle fairly well and its likely that the strategies that either player can even consider is limited because of how likely it is that the other player has already anticipated it. That being said, however, there is a mental game to be played here with the fact that BeSt is compared to Rain, a far more inconsistent player when it comes to a Bo5 considering his shock loss after being up 2-0 against Stork in the first series in the Ro8. We should be able to piece together an idea of how the series will go, with the first map most likely being a standard affair in PvP with safe openings from both players leading into a goon reaver push, since both players have good army control. I do not expect major blunders that would cost the game in this stage and it might advance toward storms and archons. If we’re going to see fast DTs, I’d expect it to be on maps like Blue Storm and Roadkill, and aggressive 3 gate goon pushes on Fortress and Gladiator. Overall, I would say that in a Bo5, Rain should win, however if BeSt manages to gain momentum especially if he wins Game 1, it can go either way, but if BeSt loses Game 1, then Rain is definitely going to win. Rain to advance to the Ro4! Snow vs Jaedong, a battle that should be interesting to watch or at least, that's the hope for Snow fans. However, let's talk about how high of a hill Snow has to climb. Snow's vZ is one of his worst matchups with his PvT being his strongest. His ASL 5 run to the finals saw him dodge most Zergs, while he dropped his only 2 games to Miso and hero. Even in his interview during ASL5, he mentioned that his PvZ needed work. His PvZ during the KeSPA days was nothing special either aside from several good games here and there, and holding the record for the most reaver kills. His current PvZ winrate since January of this year sits at ~56%, however, his winrate vs Jaedong is ~40% with Snow winning 15 out of 37 games. Looking at his record in the last 3 months, since this would be a better reflection of his form, Snow's winrate sits at 30% against Jaedong in a small sample of 10 games. He only played Jaedong several times this month and has won none of the games. Of course, stats aren't the be-all and end-all and let's not forget that Snow did beat Shine 3-1 deflecting each of his attempts extremely well. He's also a solid player overall and Jaedong is not in his prime anymore. The problem for Snow is that Jaedong excels in series, more so the psychological aspect. He is the tyrant and he will fight to the bitter end. That thought by itself must be exerting a lot of pressure on Snow as we speak. Add in the fact that Jaedong is sitting at a dazzling ~63% ZvP winrate over 99 games in the last three months (he did beat up on Movie quite a bit to be fair) and has a 75% winrate over 24 games this month. This series almost feels like it's Jaedong's to lose, especially considering that his opponents seem to slip up when playing against him offline. Anyone remember Mini's late cannon on Fighting Spirit back in ASL3? So, what does this all mean? If you are Snow fan, you best be hoping he brings his A game tonight because Jaedong is more than ready to knock it out of the park if he plays to his strength. I don't expect Jaedong to take it 3-0, but a 3-1 seems pretty reasonable in my book. Jaedong to advance to the Ro4! Kicking off Day 2 in the Ro8, we have one of the favorites in the season with Soulkey going up against the unbluntable Sharp. Much to the expectations of everyone, Soulkey did make it past his group although the winners' series against Light was one that came down to the wire. Overall this month, his ZvT is at a 44.4% (it is worth mentioning that a majority of his losses are from Flash with whom he has a 3-13 record) showing that Soulkey might definitely has a weakness in his armor when it comes to his ZvT, especially when it comes to his drop scouting as it needs to be on point against a player like Sharp who likes going for a drop heavy approach, and with the current TvZ meta further emphasizing that kind of play, it will need Soulkey to be on point with his scourges. Sharp’s TvZ is something that is left to be desired, while his sponbbang record shows him at 58.8% in TvZ, the opponents that he's had to play against over the month have not been the top Zergs other than Jaedong and hero and those were only 3 games in total. Sharp definitely has a lot to learn from Soulkey’s series with Light. Hopefully, he takes the time to study Light’s playstyle as Sharp is definitely mechanically capable of keeping up with Light, especially with early game decision making, because for Sharp to really take games in this series, he needs to take a lot more control in the early game and really set Soulkey back. This series is definitely going to come down to Sharp’s ability to exploit Soulkey’s weakness like his tendency towards greedier openings and to lay down the pressure as early as possible, because late game Sharp has shown a big problem with controlling his army, especially with regards to keeping his science vessels alive based on what he's shown on stream and army production. The longer the game goes, the more likely it is that the game will slip into Soulkey’s favor and being a Bo5 means that snipe tactics aren’t as effective. This is going to be a hard series for Sharp. Soulkey to advance to the Ro4, 3-1! Soulkey to ban Polaris Rhapsody. Soulkey did beat Light on this map, but that doesn’t mean he should feel comfortable playing on it. Polaris Rhapsody has been an unfavorable map for Zergs back in Proleague days and looking at it now, it's still fairly hard for Zergs. Sharp to ban Blue Storm. Historically, it has not been the best map for Terrans against Zerg. His match against Jaedong recently on stream has shown that he does not want to face a Zerg of this calibre on this map. Last's performance prior to the ro8 has been consistently average of him, but with a few more sprinkles of variety. He switched between aggressive and passive in his series vs. Mini and displayed clutch decision making to show his competitive grit. Horang2 surprisingly, or unsuprisingly, advanced first out of his group after bumping into a rusty Mind and the lesser-Protoss Stork in his best matchup. While Horang2's sponbang winrate of less than 40% inspires little hope, he did display a strong sense of strategy vs. Mind. His lategame PvT as always lacks refined late game army control. His strengths though were illustrated in his roundabout plays of carriers, unexpected DT rushes, and a standard war of attrition, proving hopeful that he can challenge Last. The main units featured will be the reaver and carrier to topple the behemoth Last. What makes Last so fearsome at times is his solid macro and programmed line of decision making, befitting of his nickname AlphaGo. Last will stray from the riskier 2 base plays of Mind, and instead emphasize his much stronger late-game management. On the other hand, people anticipate Horang2 having to throw curveballs that attempt to gain leverage in the early game through abusive mind games. Horang2's aura is oddly reminiscent of Guemchi - a lesser player, but with all of his might still capable of winning a macro game like the one he did vs. Flash that one ASL. In any case, the only way I can see Horang2 winning is performing at his A-game while Last plays his lukewarm, consistently average style he does in tournaments. Roadkill: I'm strongly sensing Horang2 will do some sort of proxy shenanigans, most likely a reaver in anticipation of a 1 rax FE. The short rush distances and the wide area for drops make Last vulnerable. Blue Storm: Blue Storm is an ample map for Horang2 to attempt to replicate his success with Carriers. Hopefully after playing a solid mid-game, Horang2 can wear down Last who seemingly can't win against Carriers when Protoss is even or ahead. Polaris Rhapsody: Of the maps to pick, Polaris gives Horang2 another opportunity to do reaver harass. Hopefully like Mini he can once again use Carriers. Fighting Spirit: If cross positions, Horang2 is going to pull the carrier trigger, but Last is most likely prepared for such a move. Otherwise I can see Horang2 attempting reaver shenanigans. Circuit Breaker: Once again, if cross positions, Horang2 will make carriers. In this larger map, defeat may prove likely against Last's superior late game as Terran can max out while sitting on 4 easily claimed bases. Gladiator: A map of close quarters, I can see Horang2 whipping out Snow-esque shenanigans doing none other than the proxy reaver strategy or proxy gate versus a fast expand. Fortress: Most likely to be banned, the map is a bit of a wildcard for both players. The polarizing island bases can only mean, yes, carriers. Clearly Horang2 just loves carriers. Snow's PvZ is no where near his PvT. Nice writeup, i hope JD makes it to the Ro 4 ! If Jaedong could beat Light in a Bo5, he will have no problem against Snow. wow that's an awesome banner image. the whole css is sick. Amazing write-up, thank you very much! Jaedong fighting! Great to see the Tyrant still swinging his scepter around. Hoping we see a Terran i the Ro4, and also hoping Jaedong shows some magic and wins his series. Great write-ups, thank you guys! You're rapping about homosexuals and vicodin. That JD vs light game on Gladiator was so well planned out and executed by JD, and so was the write-up. 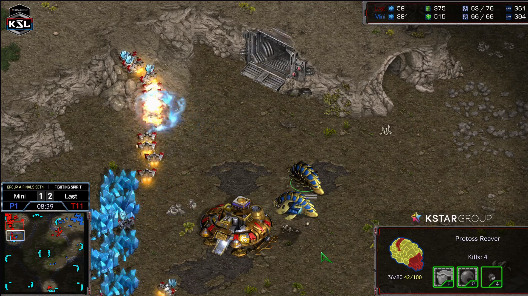 I was wondering why the turrets in Light's base were late and why JD spread out his lings that way in the early game. It turns out that JD had been creating opportunities for himself earlier than I had realised. For all we know he might have intentionally not cancelled the hatch because he's just that sick. Too bad Tastosis seemed to have missed the depth of the game (like spotting the evo chamber) but perhaps they didn't want to get too technical (they have touched quite a bit on the technicalities), or they were busy trying to keep things entertaining and funny. Even if they had missed it, I still enjoy their casts.